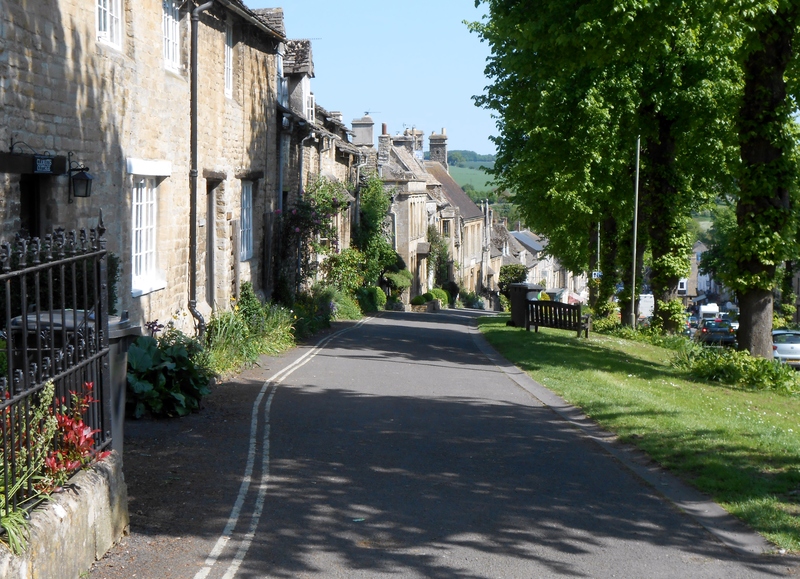 I used to think Burford was a bit like Marmite: you like it or you don’t. One the one hand, this is a typical Cotswolds town, with its picture perfect medieval houses, large sumptuous “wool church” and cute little shops to boot; on the other hand it is also one long street drowning under the sort of traffic you would expect in New York. For a long time I didn’t like Burford much. Its prettiness was out staged by tourists and motorists and I would not have recommended anyone to visit. However this was not until I went to Burford in the middle of the most miserable and quiet rainy winter day that I realised that what makes its charm is actually its busyness! Last time I went, it was a warm spring weekend morning. The town was buzzing with locals and tourists grabbing their slice of the good life: a cake from one of the tea rooms for some, a family picture in front of the cottages for others. The ballet of cars parking in and out of tight spots and reversing onto the main road was entertainment in itself but so was the view over the green rolling hills in the distance. It felt good simply sitting outside one of the many independent coffee shops looking at passer-byes. Another strong point for Burford is that parking is free if you are early enough to find a space. Moreover, the high street is a breath of fresh air as opposed to yet another variation of Starbucks, Next, Smith, Boots and TopShop. Most of the shops there are independent and sell items with a more personal touch. Among others, you will find antiques, clothes, baskets, art, decoration items, souvenirs and regional delicacies. When the town is quiet, it is a bit intimidating to be the only person in the shop but on a busy day, it is a real pleasure to browse to your heart’s content, and you also stand a good chance to find your mother in law’s Christmas present! 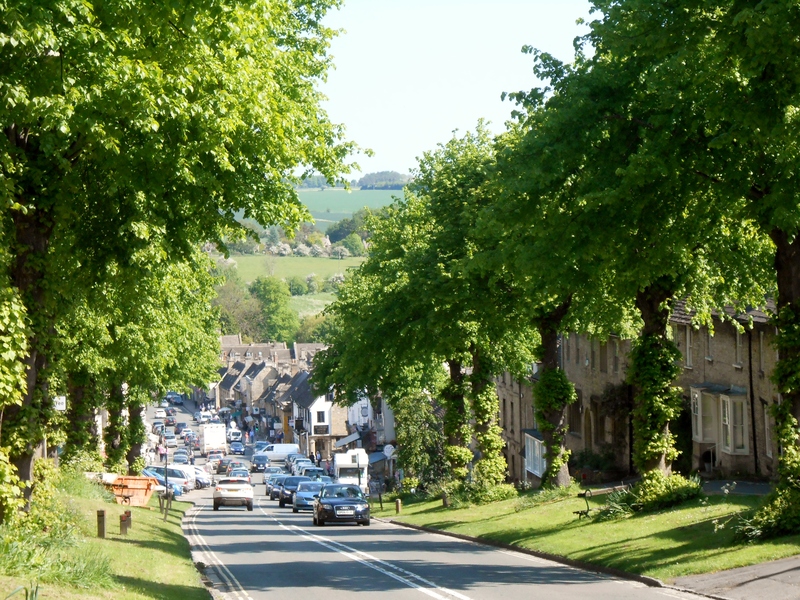 All in all, Burford is not just a town to see, it is a town to experience. 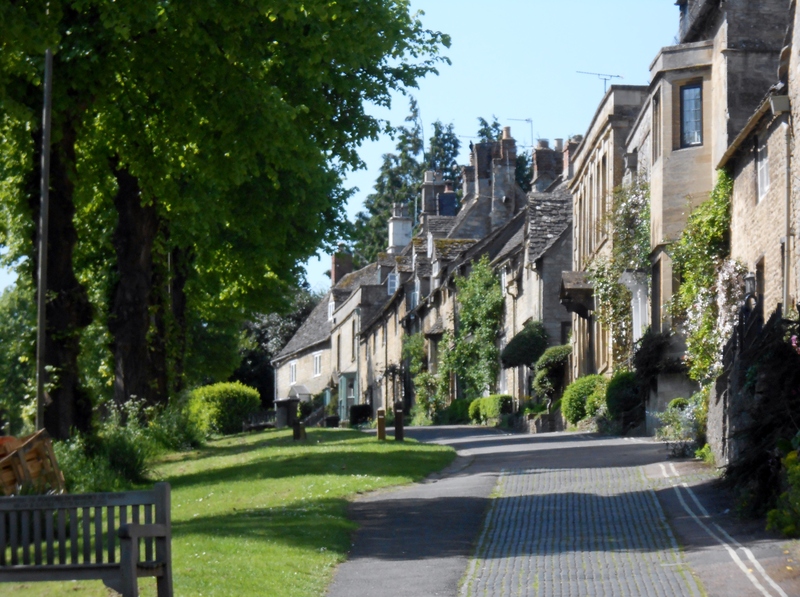 Just as you would stop at that extremely overpriced café opposite the Opera Garnier to feel the heart of Paris beating, you should sit at one of Burford’s terraces for a bit of Cotswolds life watching. To co mplement your visit to Burford, why not go the the Cotswold Wildlife Park about two miles from the town? It offers a walk in a beautiful setting with plenty of wild animals on show. For members of the Caravan Club, the Burford Caravan Club Site is located just next to the Cotswold Wildlife Park. It is very well tended and offers discount tickets to the wildlife park. Tous ces villages sont magnifiques! Merci pour toutes ces photos!